The Falling Torch , Rogue Moon , Who? Budrys's novelette "Shadow on the Stars" was cover-featured on the November 1954 issue of Fantastic Universe . Budrys's novelette "The Strangers" was the cover story for the June 1955 issue of If . Budrys's novelette "Why Should I Stop?" took the cover of the February 1956 issue of Science Fiction Quarterly . Copy editing is the process of reviewing and correcting written material to improve accuracy, readability, and fitness for its purpose, and to ensure that it is free of error, omission, inconsistency, and repetition. In the context of publication in print, copy editing is done before typesetting and again before proofreading, the final step in the editorial cycle. Drexel Jerome Lewis Bixby was an American short story writer and scriptwriter. He wrote the 1953 story "It's a Good Life" which was the basis for a 1961 episode of The Twilight Zone and which was included in Twilight Zone: The Movie (1983). He also wrote four episodes for the Star Trek series: "Mirror, Mirror", "Day of the Dove", "Requiem for Methuselah", and "By Any Other Name". With Otto Klement, he co-wrote the story upon which the science fiction movie Fantastic Voyage (1966), television series, and novel by Isaac Asimov were based. Bixby's final produced or published work so far was the screenplay for the 2007 science fiction film The Man from Earth. Budrys was born in Königsberg in the then East Prussia. 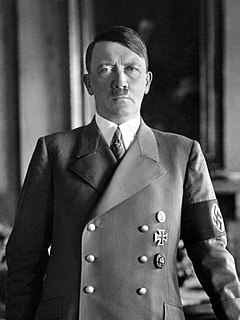 His father Jonas Budrys was the consul general of Lithuania; as a child he saw Adolf Hitler in a parade in the city. In 1936, when Budrys was five years old, Jonas was appointed as the consul general in New York, instead of Paris as he had hoped. After the Soviet Union's occupation of Lithuania the Budrys family ran a chicken farm in New Jersey  while Jonas remained part of the exile Lithuanian Diplomatic Service, since the United States continued to recognize the pre-World War II Lithuanian government-in-exile and subsidized the service. During most of his adult life, Budrys held a captain's commission in the Free Lithuanian Army. Incorporating his family's experience, Budrys's fiction depicts isolated and damaged people and themes of identity, survival, and legacy. 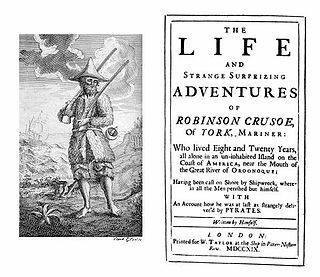 He taught himself English at the age of six by reading Robinson Crusoe . From Flash Gordon comic strips, Budrys read H. G. Wells's The Time Machine ; Astounding Science Fiction caused him at the age of 11 to want to become a science fiction writer. Budrys was educated at the University of Miami, and later at Columbia University in New York. His first published science fiction story was "The High Purpose", which appeared in Astounding in 1952. Beginning in 1952 Budrys worked as editor and manager for such science fiction publishers as Gnome Press and Galaxy Science Fiction. Some of Budrys's science fiction in the 1950s was published under the pen name "John A. Sentry", a reconfigured Anglification of his Lithuanian name. Among his other pseudonyms in the SF magazines of the 1950s and elsewhere, several revived as bylines for vignettes in his magazine Tomorrow Speculative Fiction , is "William Scarff". Budrys also wrote several stories under the names "Ivan Janvier" or "Paul Janvier", and used "Alger Rome" in his collaborations with Jerome Bixby. Flash Gordon is the hero of a space opera adventure comic strip created by and originally drawn by Alex Raymond. First published January 7, 1934, the strip was inspired by, and created to compete with the already established Buck Rogers adventure strip. The Science Fiction Hall of Fame, Volume Two is an English language science fiction two-volume anthology edited by Ben Bova and published in the U.S. by Doubleday in 1973, distinguished as volumes "Two A" and "Two B". In the U.K. they were published by Gollancz as Volume Two (1973) and Volume Three (1974). The original U.S. subtitle was The Greatest Science Fiction Novellas of All Time. Writers of the Future (WOTF) is a science fiction and fantasy story contest that was established by L. Ron Hubbard in the early 1980s. A sister contest, Illustrators of the Future, presents awards for science fiction art. Hubbard characterized the contest as a way of "giving back" to the field that had defined his professional writing life. The contest has no entry fee and is the highest-paying contest for amateur science-fiction and fantasy writers. Notable past winners of WOTF include Stephen Baxter, Karen Joy Fowler, James Alan Gardner, Nina Kiriki Hoffman, Jay Lake, Michael H. Payne, Patrick Rothfuss, Robert Reed, Dean Wesley Smith, Sean Williams, Dave Wolverton, Nancy Farmer, and David Zindell. The winning stories are published in the yearly anthology L. Ron Hubbard Presents Writers of Future. The contest enjoys a favorable reputation in the science fiction community, although its connection with the Church of Scientology has caused some controversy. The Iron Thorn (1967) (as serialized in If ; revised and published in book form as The Amsirs and the Iron Thorn). On a bleak forbidding planet, humans hunt Amsirs – flightless humanoid birds – and vice versa. After one young hunter makes his first kill, he's initiated into the society's secrets. Still, he figures there are secrets the human race has forgotten altogether, and begins to hunt for answers. "Protective Mimicry" in Galaxy Science Fiction , 1953. "Riya's Foundling" (1953) in Science Fiction Stories , 1953. "The End of Summer" (1954) in Astounding Science Fiction ; also published in the short story anthology Penguin Science Fiction (edited by Brian Aldiss, 1961). "Citadel" (1955) in Astounding Science Fiction , February 1955. "Nobody Bothers Gus" (1955) published in Astounding Science Fiction , November 1955. "The Barbarians" (1958) (as John Sentry) in If , February 1958. "The Stoker and the Stars" (1959) (as John A. Sentry) in Astounding Science Fiction , February 1959. "The Price" (1960) – first appeared in The Magazine of Fantasy & Science Fiction , February 1960. Also published in the short story anthology The War Book (edited by James Sallis, 1969). "For Love" (originally published in Galaxy Science Fiction , June 1962) – appears in The Seventh Galaxy Reader edited by Frederik Pohl (Doubleday Science Fiction, 1964). "Be Merry" (1966) published in If , December 1966, Vol. 16, No. 12, Issue 109. Karen Joy Fowler is an American author of science fiction, fantasy, and literary fiction. Her work often centers on the nineteenth century, the lives of women, and alienation. Thomas L. Sherred was an American science fiction writer. Star Science Fiction Stories No.2 is the second book in the anthology series, Star Science Fiction Stories, edited by Frederik Pohl. It was first published in 1953 by Ballantine Books. Dan'l Danehy-Oakes is an American writer of science fiction and fantasy, born in New York City in 1958. In high school in Los Altos, California, Danehy-Oakes was a major contributor to a student-published science fiction magazine. His published work includes "Outside the Walls" ; "Shaara and the Sarlacc, the Skiff Guard's Tale" ; "The Wallet and Maudie," co-written with Alan Wexelblat ; and "The Deconstructed Barbarian," which was the first piece of original fiction to be published in the New York Review of Science Fiction. Great Science Fiction Stories About Mars is a 1966 anthology of science fiction short stories edited by T. E. Dikty and published by Fredrick Fell. Most of the stories had originally appeared in the magazines Startling Stories, Argosy, Thrilling Wonder Stories, Amazing Stories, Super Science Stories and Astounding SF. Simon McCaffery is an American author of speculative fiction. Trained as a journalist and magazine editor, he was an Honorable Mention recipient in the L. Ron Hubbard Writers of the Future contest twice before he began publishing short fiction in a variety of professional science fiction, horror and mystery publications in the 1990s, including Alfred Hitchcock's Mystery Magazine, Tomorrow SF, and Space and Time. He was a contributor in the anthology, Other Worlds Than These, edited by John Joseph Adams, alongside authors Stephen King and Ian McDonald. His fiction has also been collected in anthologies including the "Book of the Dead" series edited by Splatterpunk authors John Mason Skipp and Craig Spector, 100 Wicked Little Witch Stories, ''Mondo Zombie", and The Haunted Hour. Isaac Asimov Presents The Great SF Stories 17 (1955) is the seventeenth volume of Isaac Asimov Presents The Great SF Stories, which is a series of short story collections, edited by Isaac Asimov and Martin H. Greenberg, which attempts to list the great science fiction stories from the Golden Age of Science Fiction. They date the Golden Age as beginning in 1939 and lasting until 1963. Isaac Asimov Presents The Great SF Stories 23 (1961) is an American collection of science fiction short stories, the twenty-third volume of Isaac Asimov Presents The Great SF Stories, a series of short story collections, edited by Isaac Asimov and Martin H. Greenberg, which attempts to list the great science fiction stories from the Golden Age of Science Fiction. They date the Golden Age as beginning in 1939 and lasting until 1963. This volume was originally published by DAW books in July 1991. Assignment in Tomorrow is an anthology of science fiction stories edited by American writer Frederik Pohl. Originally published in hardcover by Hanover House in 1954 with jacket art by Richard Powers, it was reprinted in paperback by Lancer Books in 1972. Neutron Star is a collection of science fiction short stories by American writer Larry Niven, published in April 1968. 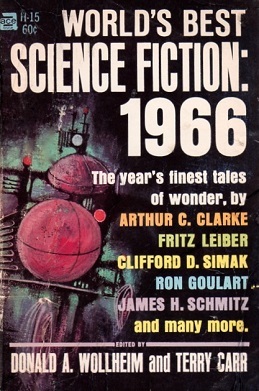 The individual stories were published in If and Galaxy Science Fiction in 1966–1967, under Frederik Pohl as editor. Alpha 2 is a science fiction anthology edited by Robert Silverberg, first published as a paperback original by Ballantine Books in November 1977. No further editions have been issued. .
"Nobody Bothers Gus" is a 1955 science fiction short story by Algis Budrys. It was first published in Astounding Science-Fiction. ↑ Clute, John. "Obituaries Algis Budrys: Science-fiction writer and editor". The Independent. Independent Co. UK. Retrieved 13 April 2015. 1 2 3 4 Pontin, Mark Williams (November–December 2008). "The Alien Novelist". MIT Technology Review. ↑ Nebula Awards Ceremony 2009. Los Angeles, CA: SFWA. 2009. p. 13. ↑ Jensen, Trevor (June 11, 2008). "Tapped human side of science fiction". Chicago Tribune. Archived from the original on June 12, 2008. Retrieved 2008-06-11. ↑ "Stories, Listed by Author". Locus. Archived from the original on February 25, 2010. Retrieved February 24, 2010.